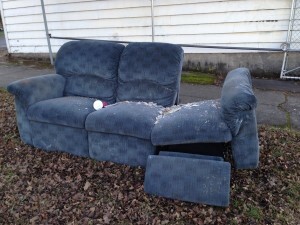 A very rare bird indeed! 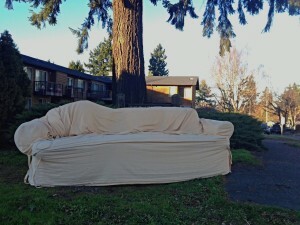 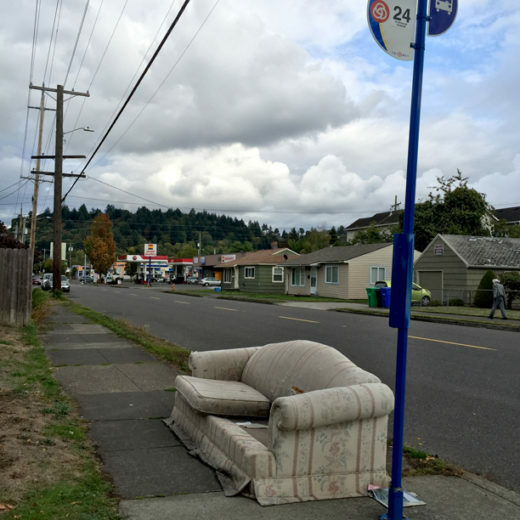 A couch left on SE Halsey in the dead of winter. 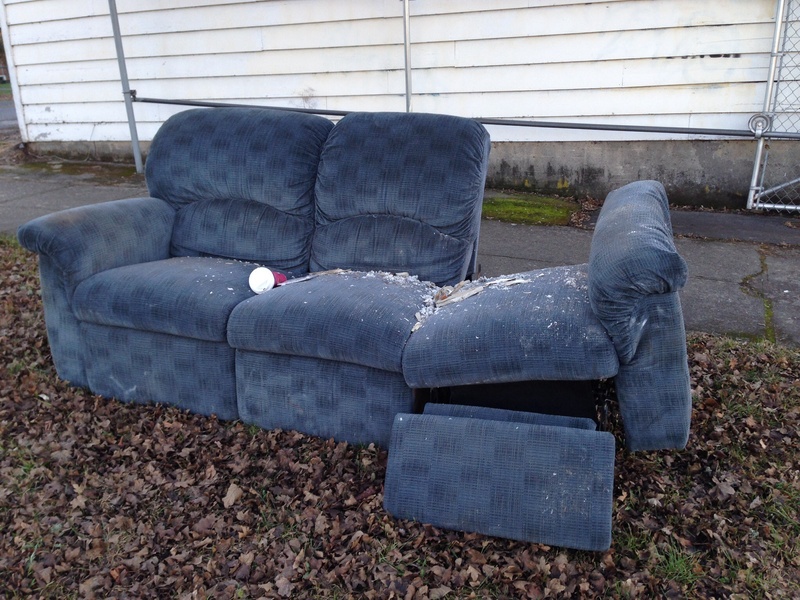 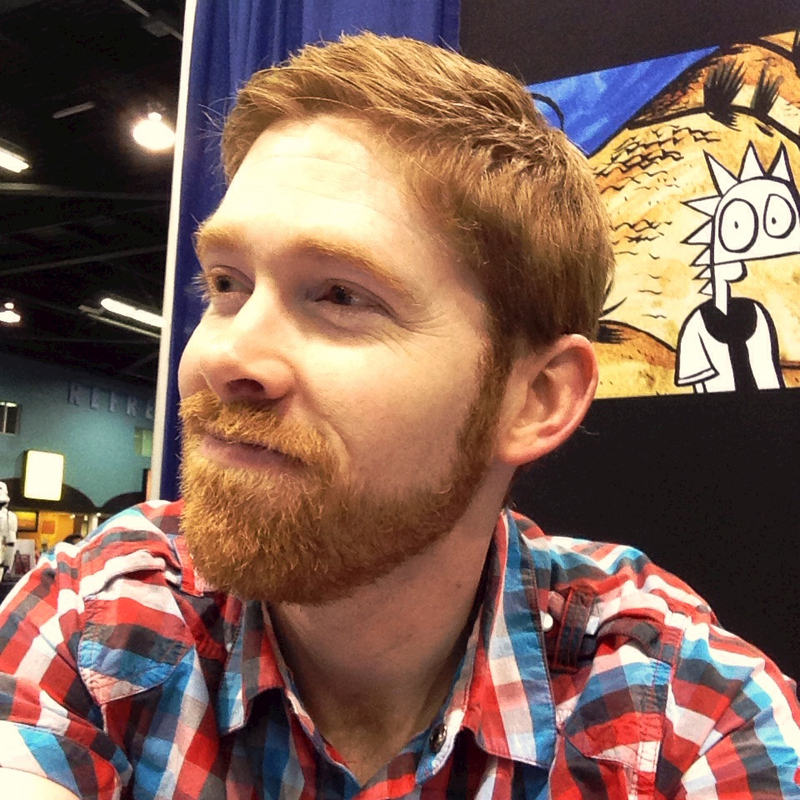 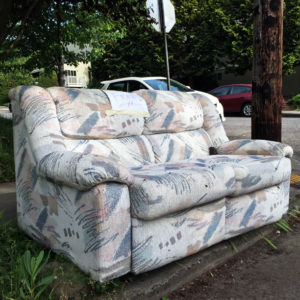 If you can brave the (for Portland) extremely cold temperatures, this couch can be yours. 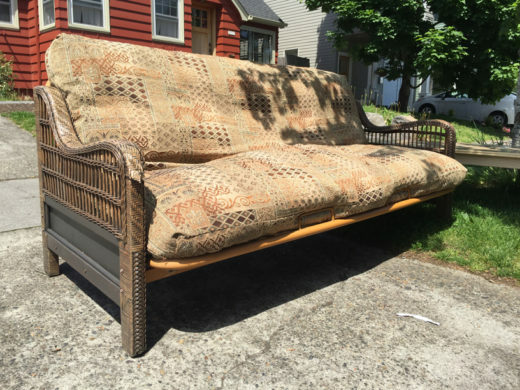 Found! 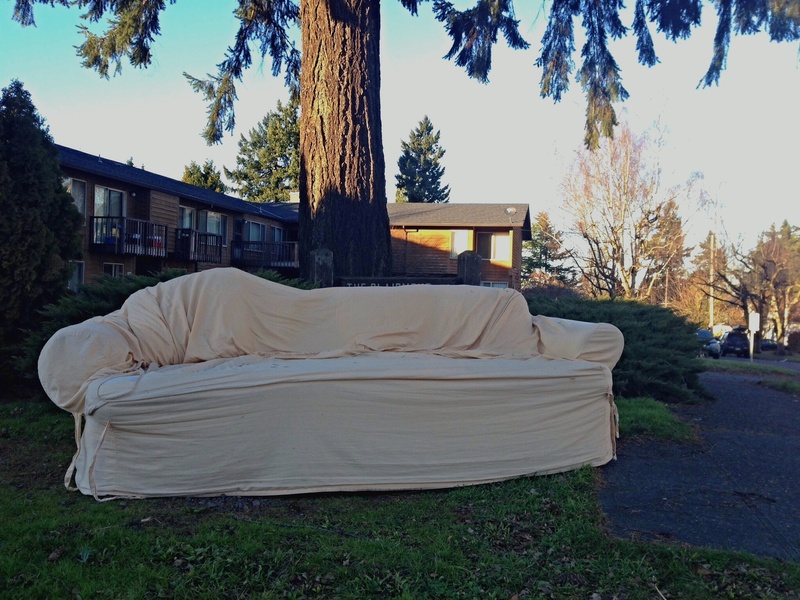 On the very same day I saw my first couch of the year, Isis saw this broken down beauty on NE Beech and 77th. 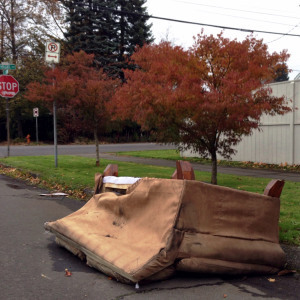 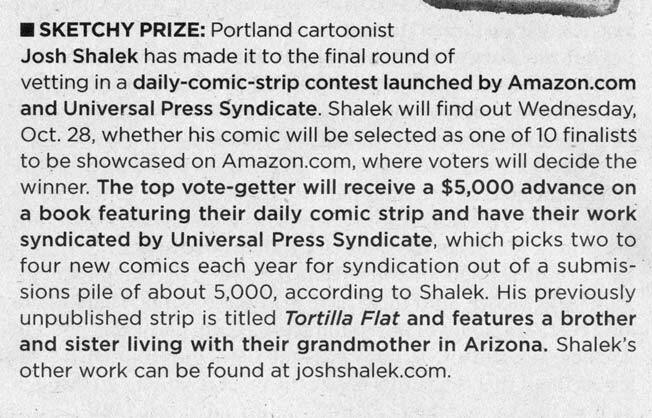 This is promising to be a banner year for discarded couches. 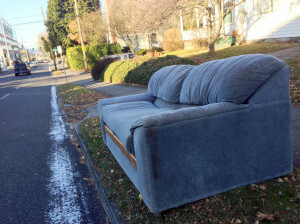 This late in the year, I always wonder if I’m seeing the last discarded couch of the season. 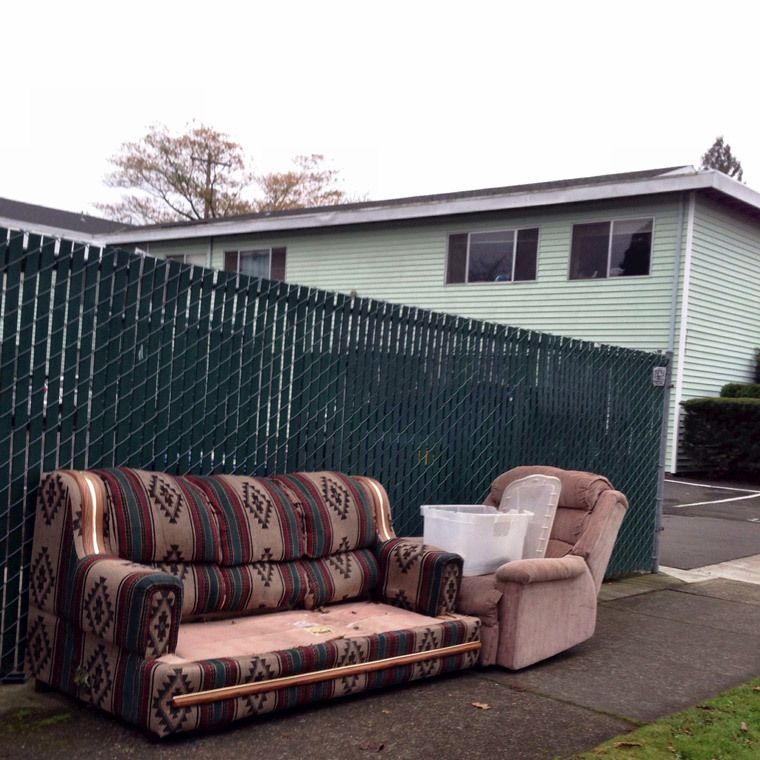 If these are the final discarded couches of 2014 I couldn’t ask for more. 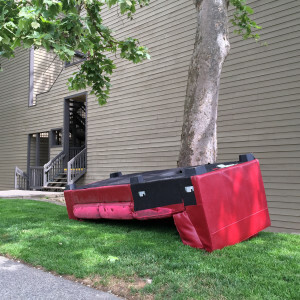 Both seen on my way to work Friday morning. This morning on SE 28th near Steele.